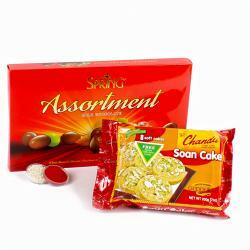 Product Consists : Spring Singapore Merlion Macadamia Nut Milk Chocolate Pack (Weight : 140 Gms) along with Spring 500 Euro Dark Chocolate Bar (Weight : 100 gms) and Pack of Roli Chawal. 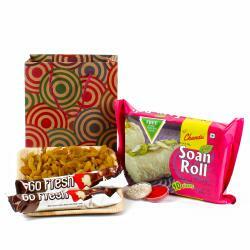 Fill your loved ones with absolute elation by delighting them with this immaculate hamper. 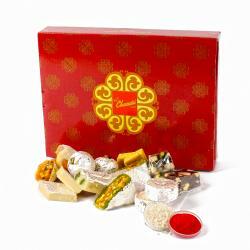 The hamper comprises a Singapore Merlion Macadamia Nut Milk Chocolate.Pack along with a box of mouth watering chocolates of Spring 500 Euro Dark Chocolate Bar is included in the hamper to treat your dear ones. 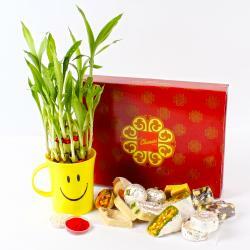 Send it online to loved ones on Diwali or delight your brother on Bhai dooj with it. 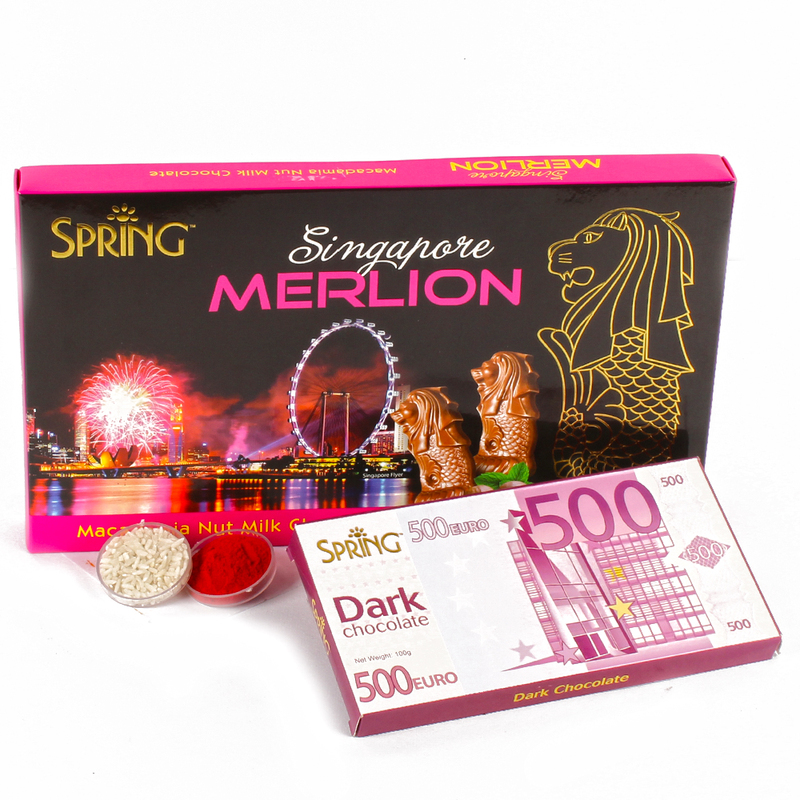 Product contains : Spring Singapore Merlion Macadamia Nut Milk Chocolate Pack (Weight : 140 Gms) along with Spring 500 Euro Dark Chocolate Bar (Weight : 100 gms) and Pack of Roli Chawal.